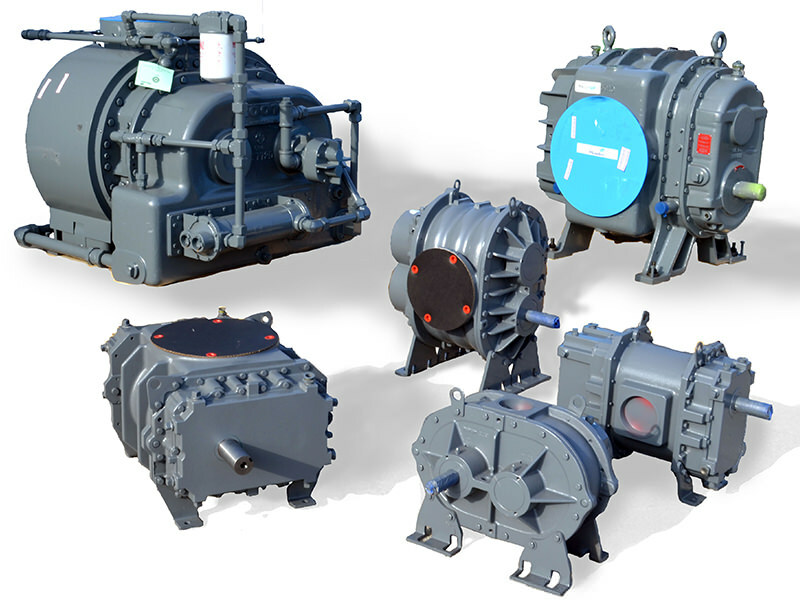 A leading blower manufacturer, Howden, makes rotary positive displacement equipped blowers. 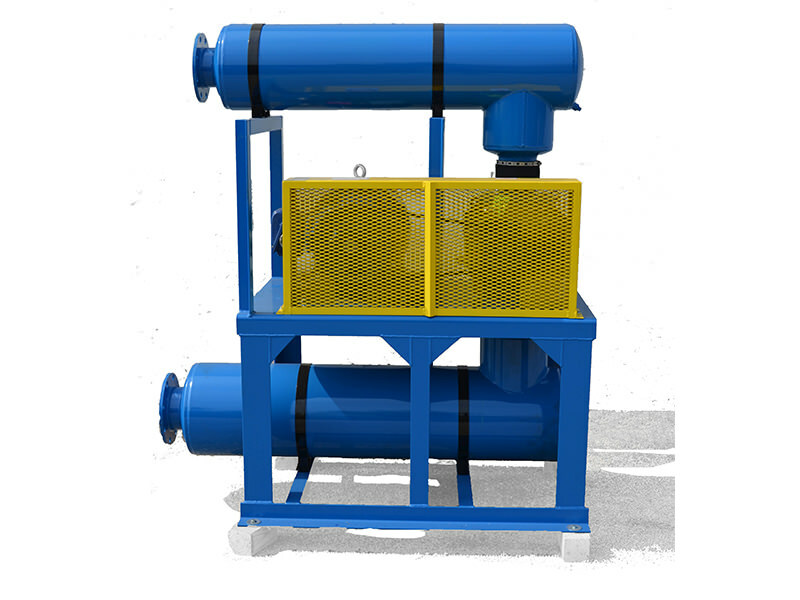 These PD blowers produce a relatively constant flow of pressure through a system to convey cement, flour, sugar, feed, coal ash, coal, plastics, or any dry substance. Blower systems can work either by pressure or vacuum suction. 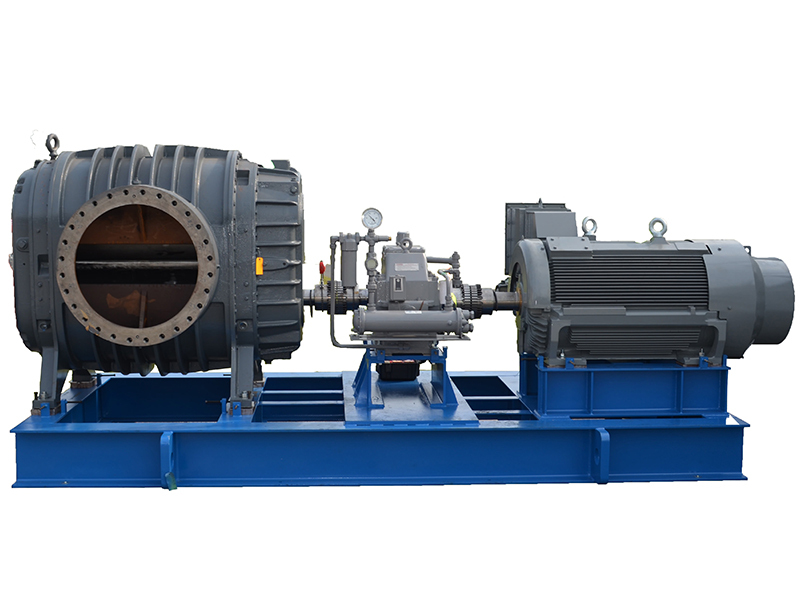 As Pennsylvania’s leading Howden distributor and supplier, R&M Equipment Company sells both new and replacement blowers designed and built to provide reliability, long life and oil-free operation at a competitive price. 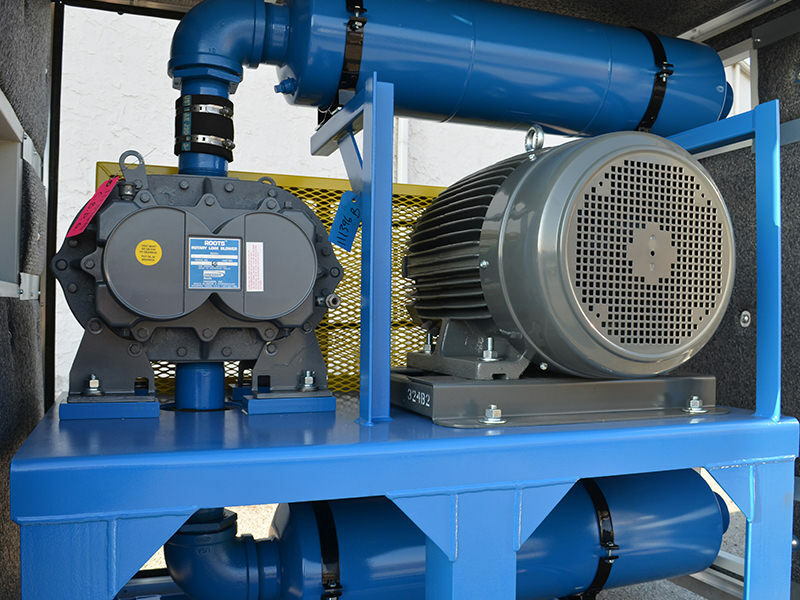 We can mount and/or configure a blower system that can be plugged right into your manufacturing workflow. Our highly-skilled and experienced service technicians can repair or rebuild blowers from any manufacturer and we can custom design blower packages up to 1000 Hp using CAD engineering. Additionally we can work with a company’s engineers or outside engineering firms to create task-specific systems. Howden Roots rotary positive blowers, premium grade silencers, premium efficiency motors, high-quality package components (knocked down or fully assembled, with or without the blower), and two-week delivery. Some example applications include: waste water treatment, pneumatic conveying, process air, methane removal, soil remediation, gas boosting, fluidizing, digester gas. A complete package with custom instrumentation, color, noise abatement and on-site installation. One of our standard arrangements with an elevated base. The design is compact, efficient and structurally sound. The highest-quality, industrial standard American-made Howden Roots blower, v-belt driven with a premium efficiency motor fully assembled with silencers, instruments, relief valve and guard. Lubricated and shop-tested. A Howden Roots 2044 VJ blower, gear box driven with a 700HP motor mounted on a custom designed structural steel base. 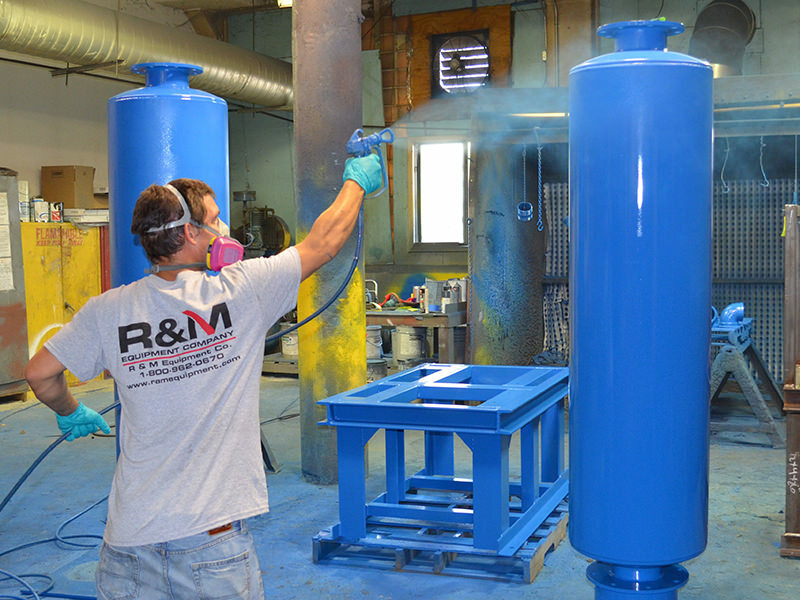 R&M takes pride in making sure each blower package is shipped out to you in good cosmetic condition. We can match your paint spec requirements. 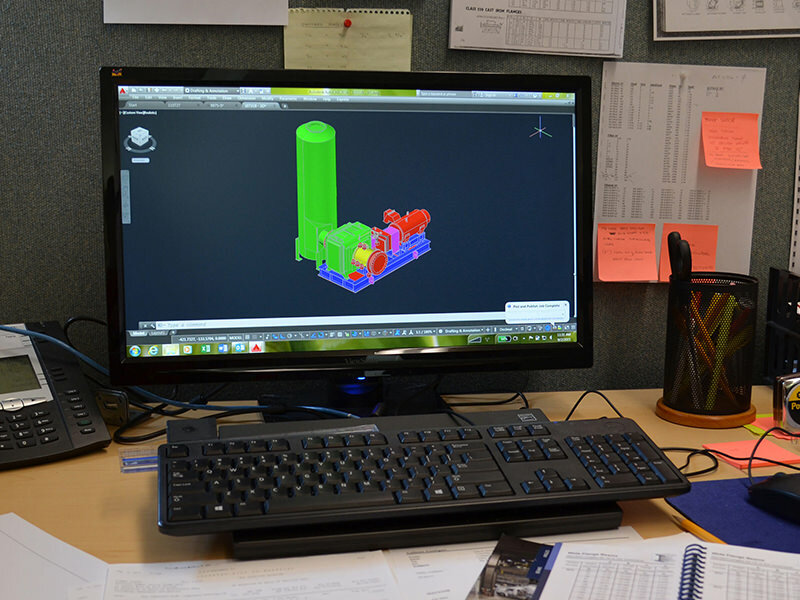 Our Engineering and CAD designing services can produce 2D drawings and 3D models and customise your Industrial Blower packages to fit your company’s specific needs. We maintain a huge stock and selection of Howden Roots blowers at our facility in Pennsylvania.